The New Year brings you another NEW Fancy Flours catalog! Full of great new items for Winter 2015! You can shop the digital edition HERE. Our new cookie cutter and mold kits allow the home baker to create delicious cookies with sweet or savory toppers. 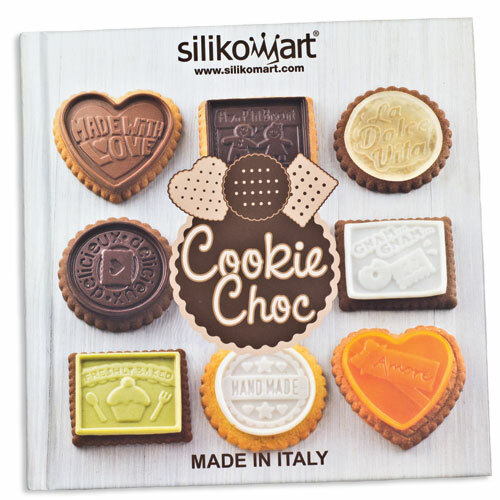 Our friends in Italy have made it simple to do with kits containing a precision cutter, intricate topper mold and 100 page illustrated recipe book (multiple languages including English). Available in 4 designs/shapes. Recipes, both sweet and savory include: Chocolate Cookie with White Chocolate & Pistachio topper, Coconut Cookie with Milk Chocolate Topper, Salty Olive Oil Cookie with Pumpkin Jelly Top or Salty Basil Pesto Biscuits with Yellow Tomato Jelly Tops.